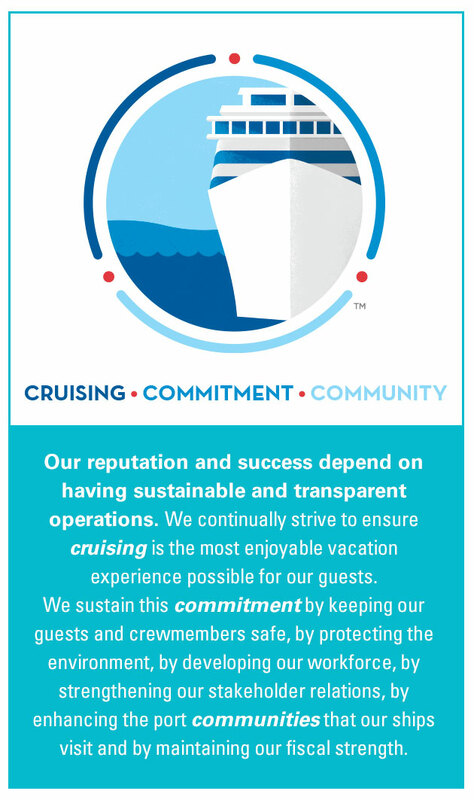 Carnival Corporation & plc receives many enquiries about our sustainability and environmental policies, practices and performance from a wide variety of stakeholders, including our guests, our employees, investors and others. Many such questions can be answered by informing our stakeholders about the actual processes and the proactive approaches that we take. By publishing sustainability reports, we are able to be transparent, while informing our stakeholders about our commitments to and progress on improving our sustainability and environmental performance.